Accommodation in each region of Italy has been selected to ensure the highest quality and comfort, combined with local, old world charm with a friendly, contemporary touch! Many of our lodgings are award winning for various reasons. We choose carefully for you. You can expect authentic charm, local flavours of regional food and wine, combined with modern comforts. In Tuscany, for example, we have a beautiful selection of hotels: Villas tucked away in the Tuscan hillsides, Renaissance Palazzi, as well as award winning boutique hotels and a charming hotel that is a restored olive mill. Some hotels are surrounded by vineyards, olive groves and cypress trees while others are complete with ceilings frescoed walls and ancient tile floors. In Puglia, the Masserie, the Italian Farmhouses of Puglia, reflect their original charm with features such as stone fireplaces and the rustic colors of Italy’s sun-drenched coast are typically set against dazzling white backdrops of medieval stucco and stone. In Sardinia, we have selected idyllic rural resorts, a noble house set in the heart of Oristano centre and a prestigious art nouveau residence right on the beachfront, surrounded by lush grounds and overlooking the sea. You can find the list of hotels for each tour on the itinerary page under ‘Helpful Notes’ and we will be glad to give you all information and contact with hotels. 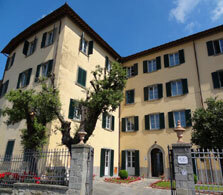 Below we have given you a sample listing of some hotels as an example of those used in Italy. Il Chiostro is idyllically snuggled inside the stone walls of Pienza, a medieval hilltop village that is one of Tuscany’s most perfect jewels. The hotel is built within a stunning 15th-century monastery; a heritage immediately apparent when you step through the massive arched wood doors into an exceptionally beautiful small cloister. Panoramic view of Tuscany at its finest. This 5 star hotel and wellness resort is housed in a 17th century fortified farmhouse which has been lovingly and faithfully restored. Furnished with antiques, exquisite carpets, paintings and large tapestries, Il Melograno is surrounded by the colours and scents of a large flower garden and is in extraordinary harmony with the surrounding area. La Bandita Townhouse is a 12-room luxury boutique hotel tucked inside the historic center of Pienza, a tiny Renaissance jewel of a village in southern Tuscany. The Townhouse is a comfortable, fun, and stylish place to relax, eat well and get caught up in the daily rhythms of everyday life here: the stillness of the main piazza in the morning, the old ladies making their daily shopping trail, and the evening hum of bustling trattorias. The Masseria Cervarolo is an oasis of green set in the glorious Pugliese countryside just a few kilometres from the stunning “White City” of Ostuni. 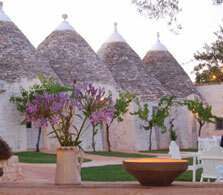 This great building is a superb example of a typical masseria with both large country house and attached trulli dwellings now transformed into stylish accommodation with a big heart. Discover the landscapes of the Valle d'Itria while biking with us and ignite your senses! 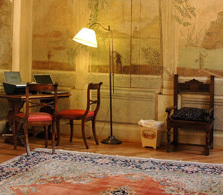 Palazzo Ravizza is a renaissance Palace in a quiet area of the historical center of Siena. A landmark building in Siena, it was transformed into a hotel in the 1920's and recently renovated to offer modern facilities while maintaining original character. 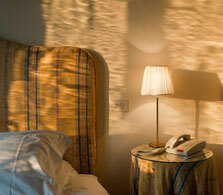 Guests are accommodated in lovely rooms overlooking the beautiful garden and the Tuscan hills. 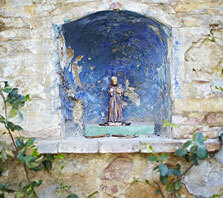 A welcoming oasis within the walls of the medieval city of Siena. Palazzo Squarcialui is a luxury hotel in the town of Castellina, Chianti situated in the town center on a road running along the 15th century city wall. This historic residence of a noble family boasts underground cellars which produce wine to this day, a relaxing spa and a verdant garden featuring a swimming pool. The former affords guests access to pleasant walks through the beautiful vineyards and woods which make up the surrounding area. 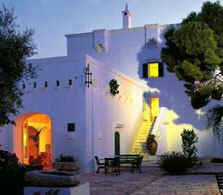 Vecchia Oliviera is located in a fascinating old olive oil mill which has been carefully restored and renovated. Each of its 13 rooms are personalized with the name of a flower. The hotel is located in the town of Montalcino which is at the heart of the Val D’orcia, and is the home of Brunello the prestigious wine known all over the world for its excellent quality. Villa Boscarello is private villa ideally located for visiting the most famous art and historical cities in Tuscany including Pienza, Montepulciano, Montalcino, Cortona as well as the Chianti wine towns of Castellina, Radda and Greve. 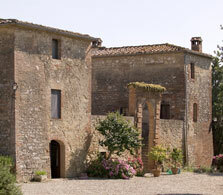 The villa is part of a large wine producing estate but is completely independent and private. The surrounding land is organically farmed and guests staying at Villa Boscarello can to take part in wine and olive oil tastings. 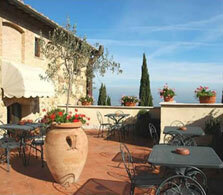 Villa Marsili is a dreamy, elegant villa in Cortona, a short walk from the historic centre. Situated inside the town walls in Cortona ~ of 'Under the Tuscan Sun' fame and dates back as far as the 14th Century where the site actually housed a very old church named Madonna degli Alemanni, as well as an Oratory. 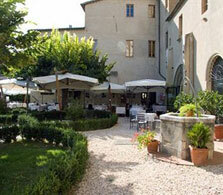 Later in the 1700s, the site held the villa that now has become the beautiful Hotel.